My RTF templates do not appear in the correct drop-down lists. What should I do? 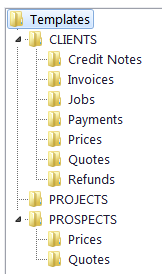 Please go to "Business Settings >> Templates" and make sure that all templates are located in the proper folders.